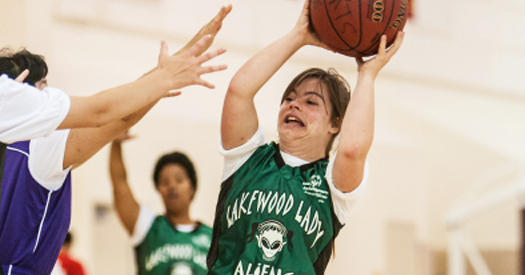 Basketball is a favorite among Special Olympics athletes. In addition to team competition, Special Olympics Basketball also offers individual skills competition, which allows athletes to train and compete in basic basketball skills. The development of these key skills is necessary prior to advancing to team play. These events include target pass, ten-meter dribble and spot shot. The range of events is intended to offer competition opportunities for athletes of all abilities.